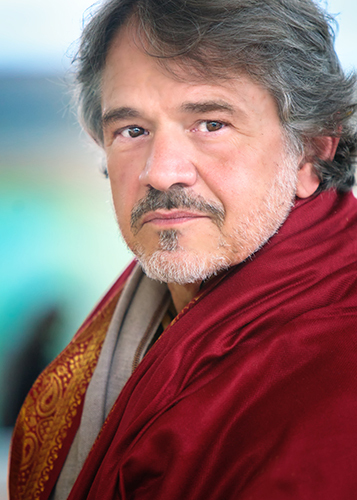 Michael Mamas is a thought leader in the areas of spirituality and personal development, with 35 years of teaching experience (including the U.S., India, Europe, and Canada). He helps people develop a deeper understanding and more comprehensive outlook by providing a bridge between the abstract and the concrete, the Eastern and the Western, and the ancient and modern. Michael Mamas is the acclaimed author of nine books (including a novel, books for reflection, a home study course, a children’s book, and an anecdotal book translated into Japanese). Dr. Mamas is also the founder and CEO of The Center of Rational Spirituality, a nonprofit organization, and the founder and developer of Mount Soma. When he was in his twenties, Michael Mamas learned about the Vaastu Shastras (ancient Vedic texts) and the instructions regarding how to build an enlightened city. This knowledge planted a seed that is now coming to fruition. Michael Mamas’ primary project is Mount Soma, a 448-acre Vedic community in the Blue Ridge Mountains of North Carolina. Founded in 2002, Mount Soma is designed to be a prototype for an ideal society that promotes people’s health, well-being, and evolution on all levels of life. It is a place that utilizes Vedic technology to amplify the harmony and coherence found in nature. There are various layers of Mount Soma that promote the peace, harmony, and prosperity that is so desperately needed in this world. The foundational layer is a matrix of Vedic temples that function as the engine of Mount Soma. The first of these temples, Sri Somesvara, was completed in 2011. It is 100% Vastu and is built with 46 tons of hand-chiseled granite imported from India. Michael Mamas’ genius in math and physics combined with his Eastern studies under the great Maharishi Mahesh Yogi, the spiritual leader of the Transcendental Meditation Movement, are being utilized in this Mount Soma endeavor. Promoting cultural integrity and multicultural harmony is another layer of Mount Soma. The idea that cultures can be fed through honoring their traditions, yet still function in harmony with other cultures is pivotal. Michael Mamas’ history as a Westerner with Greek roots, who immersed himself in Eastern spiritual teachings, while studying under Maharishi Mahesh Yogi (MMY), speaks for itself. Already, Mount Soma has residents from Chinese, German, Indian, Canadian, and American cultures. Helping individuals with their spiritual evolution is another important layer of Mount Soma. Michael Mamas’ own path of discovery, leading to a profound spiritual transition when he was 21, has enabled him to teach from a place of deep wisdom and true Knowing. This has provided a steadfast base for all decision-making and creativity. His Knowledge is the ground for all lectures, classes, and retreats. In addition, living in an ashram for almost a decade provided Michael Mamas with a well-rounded foundation for developing the Mount Soma Ashram Program. 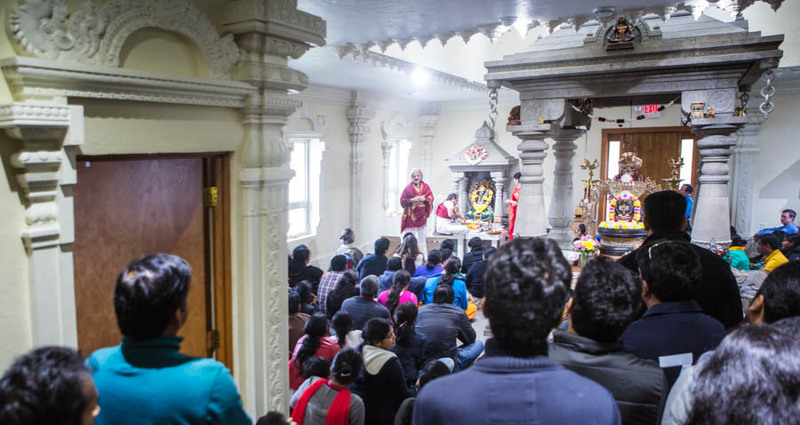 Mount Soma has become a spiritual destination center for spiritual seekers of all faiths. In 2014 alone, Mount Soma welcomed over 15,000 people from all over the world. Michael Mamas has a strong Western education that makes him well-equipped to lead the development of Mount Soma. He earned a Master of Business Administration from Maharishi International University in 1985, with a specialty in nonprofit management. He holds a Doctorate in Veterinary Medicine which he received from Ohio State University in 1975. He was also a double major in undergraduate honors math and physics at Ohio State University from 1968-1971. Blending this educational background with his calling to help humanity, Michael Mamas has created several successful nonprofit organizations. In 2001, he founded The Center of Rational Spirituality (CRS) to help people evolve by integrating ancient spiritual wisdom with modern rational thought. It is an organization that helps individuals move beyond the limitations of their current conditioning, mentality, and spiritual comprehension. It provides free and low-cost resources such as meditation instruction, retreats, and lectures. In 2002, he founded the CRS Learning Center nonprofit. Established to help carry out the purposes of CRS, it owns and maintains the land and facilities for CRS-related activities. In 2008, he founded the religious organization, Sri Somesvara, now known as Sri Somesvara Temple. Michael Mamas has consistently found himself in management positions, whether it be starting and operating a small animal hospital, initiating and directing the School for Enlightenment and Healing, or establishing and developing Mount Soma. Though many would see this as a career path, Michael Mamas’ vision is on humanity and the state of the world. Out of this awareness comes his unwavering dedication to raise the consciousness of humanity and help people live their full potential. Out of this awareness comes his unyielding pledge to clarify in modern terms the ancient wisdom at the base of all philosophies and spirituality. Out of this awareness comes his resolute commitment to develop an enlightened community, Mount Soma, a global model for harmonious living. All projects and organizations Michael Mamas is involved in support his vision of helping humanity and the world. "I have only one goal… only one purpose… and that is to bring forth an enlightened world. For me, nothing else makes any sense."